A land contract or deed for sale is a way to buy property without a mortgage. Rather than working with a lender, the buyer deals directly with the seller and makes monthly payments until the purchase price and interest is paid off. The seller retains ownership of the property until that point. This can be a good alternative for a buyer who can't qualify for a conventional mortgage; if the buyer defaults, however, he runs the risk of losing all the money he's paid up to that point. Draft a contract for deed. You can download one for your state from any of the websites that sell legal forms. The exact requirements may vary with state law, but contracts typically include the names and addresses of the buyer and seller, the legal description of the property and the terms of the sale. It can also spell out which party is responsible for paying property insurance and taxes. Look up your state's law for recording land contracts. You can find this out at the recorder's office or land registry for whichever county contains the property. Some states don't require you record the contract. Ohio gives the seller 20 days to record, while Minnesota gives the buyer four months to register. If the contract isn't recorded, it's still binding on the parties that signed it, but you may a penalty for not filling it. In Minnesota, the penalty equals 2 percent of the principal on the loan. Choose whether you want to record the land contract itself or a memorandum of the contract. Once you record the contract, all the details of the sale become part of the public record. 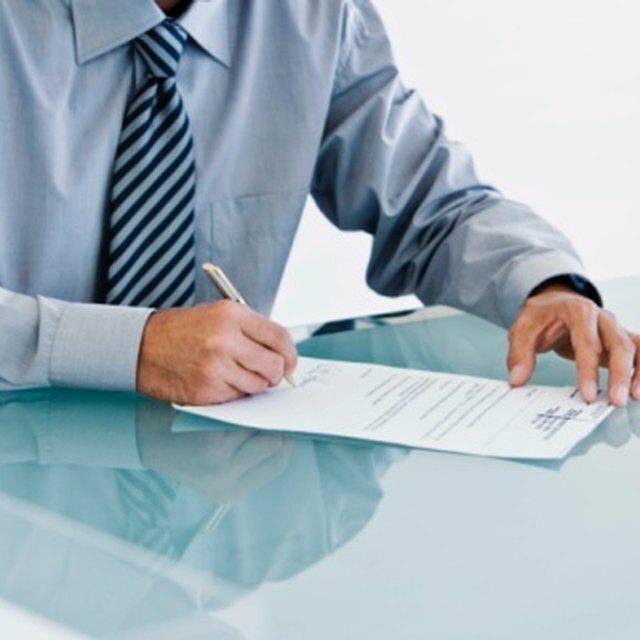 A memorandum is a legal document that states the buyer and seller have entered into a land contract, but doesn't give any details. Notarize the land contract or memorandum and have it witnessed if state law requires it. Present the contract or memorandum to the county deeds registry. You'll have to pay a fee for the county to record the document. One advantage of a memorandum, according to Valley Real Estate, is that it's only one page. This means you pay a smaller fee.